One way to tell that I’ve been teaching a lot longer than my colleagues is that I regularly check my mailbox. While the thirty-somethings on staff have boxes stuffed with textbook catalogs and invitations to take their students to exotic international locales, I have a pristine spot into which more disposable (recyclable) junk gets tossed every day. Because they don’t expose themselves to this daily disappointment of finding nothing in a place they insistently search, I envy my colleagues a little, but I also feel that they missed out. One of these days, I tell myself each time I peer into that useless space, someone might write me a real, live letter! And I, archive of ancient history that I am becoming, still remember how thrilling it is to see the envelope sitting there, stamped, addressed, revealing the loops and curves of my loved ones’ handwriting (!!!) as they create a record of their time on the planet. At the University of New Hampshire, our mailboxes were in the lobby of the dining hall where we met in a mob for Yankee pot roast, ratatouille and the weekend brunches featuring anemic fresh fruit and welcome-mat textured French toast. Before lunch each day, my friends and I would squint through the tiny pane of glass to see: is anyone in there? Oftentimes, my poor friends were greeted solely by the wall of the mailroom. Part of the ensuing meal would be spent berating disloyal friends and family. My box, however, was never empty. And when I say never, I’m almost not exaggerating. Two days of my freshman year I did not receive a letter. According to the mail staff, they checked the bag several times to make sure there was no mistake. Maybe I set up this situation for myself. I am a writer, after all, and occasionally, especially when I am trying to avoid writing, I had been known to write a letter so I kept up a correspondence with family members, friends, friends of family members and they wrote back! But the fruitfulness of my search into that slot every day was largely due to one person’s indefatigable efforts to tether me to my home. I don’t know what my sister Jeannie spent in stationery and postage those four years, but she was more dependable than any diarist. She sent cards, notes, pictures of my nieces and nephew, postcards — anything to keep me from the crushing view of the dark, yawning tunnel, yet another reminder of our insignificant place in the universe. Jeannie was a young mother, home with three kids who passed bronchitis, conjunctivitis, chicken pox, the stomach bug, and any other germ that passed through Westerly public schools, back and forth for the long, damp Rhode Island winter, stranding their mother in her kitchen like some fronteirswoman in her Nebraska Territory sodhouse. So she wrote and I read (and wrote back though not as frequently). My friends demanded I share her; I refused. They cast me threatening glances as they tried to discern the ingredients of the meatloaf and I unfolded coloring book pictures of cats. Maybe Jeannie’s life was not full of adventure, but she jotted it down faithfully understanding how much I needed to hear a voice from the world outside. When I returned home for visits, I hope I spent enough time playing Sorry and Parcheesi with her and her perennially infected kids so that she felt a little less abandoned. That was all a long time ago, of course, but the image of that envelope leaning against the polished wood of that box remains. What I felt was joy. Every time. It’s what keeps me trekking back to the little visited space behind the receptionist’s desk just in case. And this week (drumroll, please) I was REWARDED for my vigilance, for my insistence on this antiquated custom because there it was: the sealed envelope, the handwritten (!!!) address, the bulging contents promising some personal history coming my way. The note was was from a former student who, via some stroke of unimaginable impulse, put pen to paper. There are many things that make me feel lucky to be a teacher: this missive is certainly one. 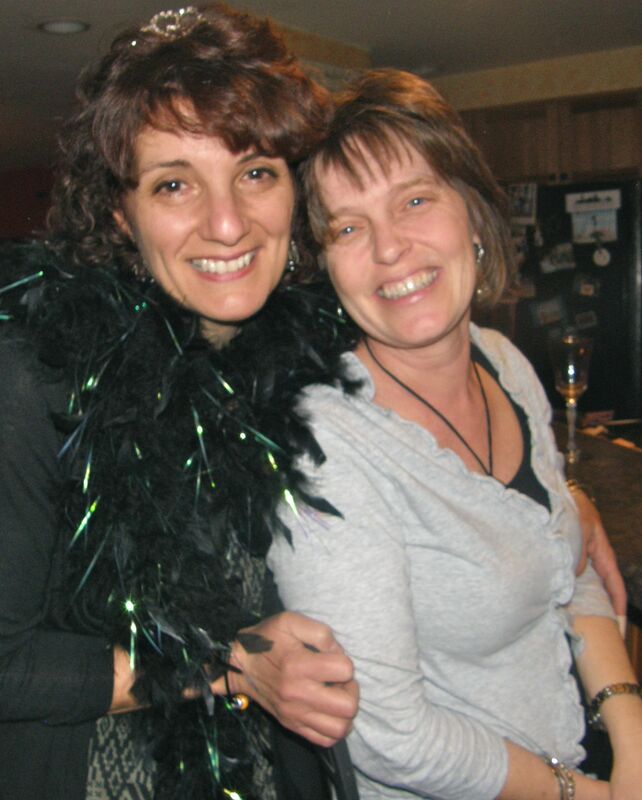 There are also many things that make me feel lucky to be a little sister and my big sister Jeannie is certainly one.